Thirteen medical sales representatives from the Australian medicines industry received the sector’s top accolade for ethical sales and marketing at a ceremony yesterday. 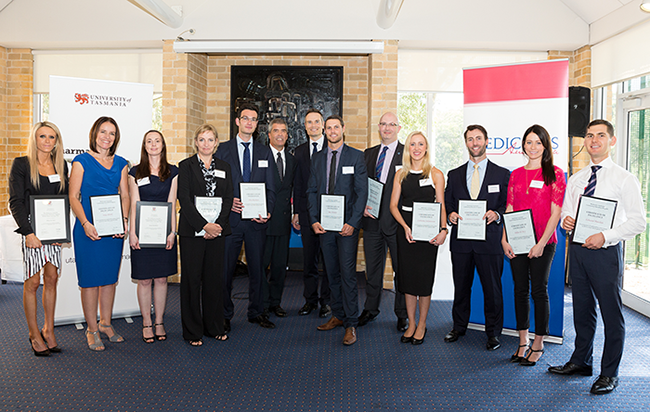 The Medicines Australia Continuing Education Program Awards are presented annually to sales representatives who achieve the best marks in their compulsory ethical conduct education program. Medicines Australia Chief Executive Officer, Mr Tim James said the mandatory program, delivered by Medicines Australia and the University of Tasmania, highlighted the industry’s commitment to ethical conduct. “Medical sales representatives play a really important role in helping doctors stay abreast of the latest information and ensure patients get the best out of the medicines that are available today,” Mr James said. “Representatives have the job of ensuring the dialogue between the companies who make the medicines and the doctors that prescribe them is productive, balanced and ethical. “Interaction between medicines companies and health care professionals is an important part of promoting patient health, so it is important we get it right. “The continuing education program ensures medical representatives are educated to a recognised industry standard to provide healthcare professionals with accurate and balanced information. The Medicines Australia Code of Conduct Award, for highest marks in the Code of Conduct Program, was presented to Sean Newman (AstraZeneca). The University of Tasmania Prize for Excellence Awards for the highest quality reflective assignment, active learning and participation in each semester of the course were presented to Jacqui Bardellini (Sanofi) and Olivia Di Sisto (iNova). The Medicines Australia CEP Achievement Awards, for the highest marks across all five core Programs went to: Eilise D’Arcy (Alcon), Irma Brink (BMS), Sean Newman (AstraZeneca), Catherine Solomonson (AstraZeneca), Ben Warner (Pfizer), Louise Thomas (iNova), Alex Roytman (Mundipharma), Lawrence Currion (Novartis), Edward Punshon (Alphapharm) and Catriona Truscott (independent student).